Suitable materials: wood, bamboo, plastic (part), certain cortical, paper, all kinds of bank cards, discount cards (non-metallic), rubber stamp. Unsuitable material: gold and silver copper, iron, aluminum, steel (where metal regardless of the thickness), shellfish, ceramic, stone, reflective material, transparent material, part of the white material. 1 forbidden in natural gas use objects and places to avoid fire and explosion. 2 prohibited for children to play. 3 do not open the module so as to avoid damage. Work for a long time, such as the feeling ofthe head a little fever, please stop cooling after work。. 4.If you disassemble the laser device or use of non-rated power supply leads to the laser device burned, it will void the warranty. 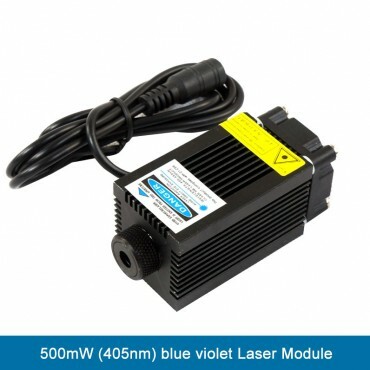 Note: we do not provide a higher power laser module. A lot of the same size but labeled higher power laser module is false propaganda, it greatly reducing the life and It's a great security risk.